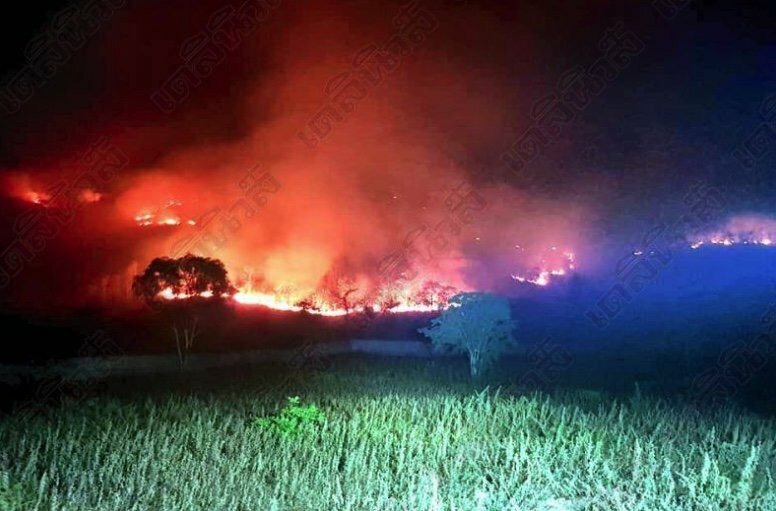 Hundreds of firefighters were mobilized last night as a massive forest fire spread over 10 square kilometers threatened several housing estates in Hua Hin. Under threat from the fire in a hilly area of Samor Prong were the Thippawan 5, Tropical Hill and Highland Sea View estates. Daily News said that the fire - likely caused by hot weather conditions - had started on Monday evening near the area surrounding Wat Samor Prong. By 8pm last night Prajuab Khirikhan chief Phallop Singseni was calling an emergency and demanding decisive action from the Hua Hin district chief and the Hua Hin mayor. Daily News said that the fire was now largely under control with no threat to the houses. Firefighters from the Klai Kangwon palace had joined other crews in battling the blaze. No one has been reported injured in the blaze. Has to be a feel good story while Chiang Mai and northern Thailand are choking to death. I'm back in California! How about a nice earthquake? or mudslide? "Oh Honey, I'm so glad we came down from Chiang Mia to escape the smoke." The hot weather is hardly the culprit. I haven't been able to keep my windows open for more than 20 minutes for the last 6 months since someone is always burning something in this area, filling the house with the smell. Yeah, right. It's just a coincidence that it's burning season. ...and what do we learn from that? Watch out for neighbors planting sugar cane! How about a municipal decree banning field fires with a hefty fine for the violators ? Don't go near the "bay area" an expert say's it's going to pop anytime now ! My first thought on reading this was your condom caught on fire due to friction. Disappointed in a weird way that that was not the case. Still, about time for the California bushfires to start again. Lots of agricultural land in that area.